Instant Pots are all the rage these days and for good reason. You can cook an entire meal in a fraction of the time over traditional means with the Instant Pot. 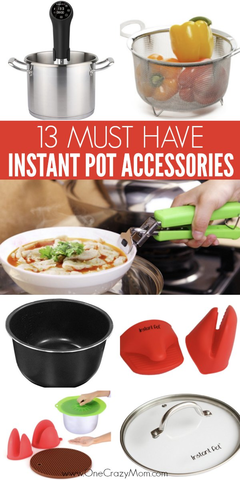 Plus, these must have instant pot accessories make it even easier! Many meals can be made all in one pot for less mess and clean up. I’m all for that! You can choose from several sizes to meet your needs. 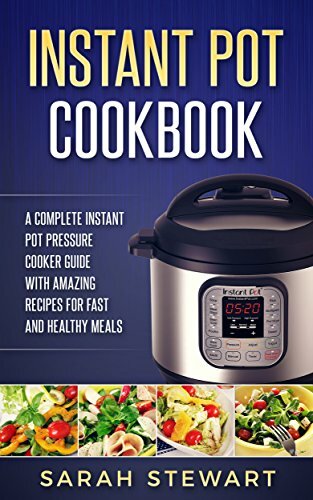 I purchased a 5 quart Instant Pot months ago and it is fantastic! I know it might sound dramatic but having an instant pot has truly changed meal time around here! Electric pressure cookers are amazing! You don’t have to slow cook food to make it taste like you did! You will love it! Pressure Cooking is a game changer! 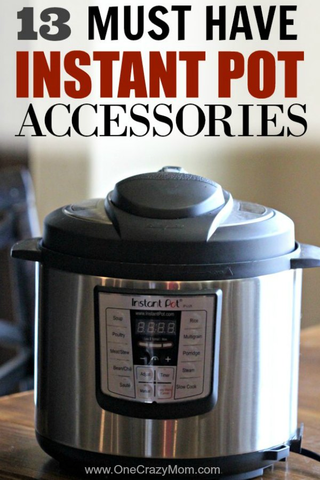 What accessories do you need with the instant pot? There are a ton of accessories for the Instant Pot that can make it even more convenient for you. And… after all, we bought the Instant pot because we want convenience. 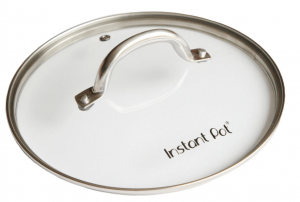 Currently the only one in stock is the 10″ for 8 quart instant pot. This lid is so convenient because it is transparent for clear viewing of what you’re cooking. It’s professional grade tempered glass with a steam-release vent and Stainless steel rim. Even better, it’s dishwasher safe. This is so handy and saves a lot of time. 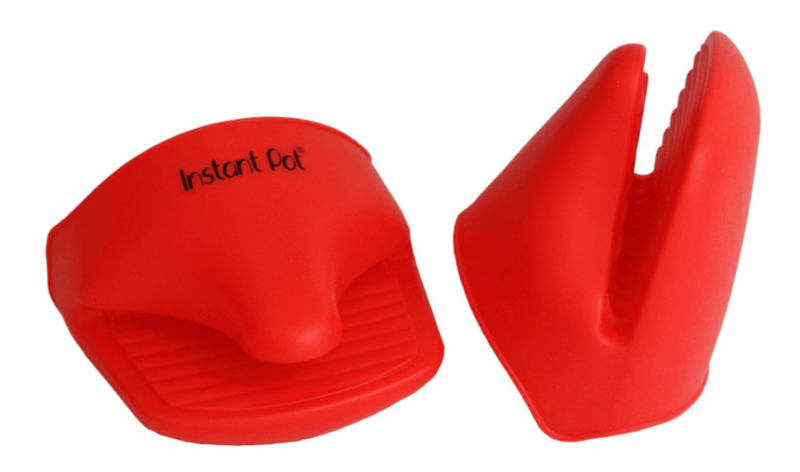 You will love having a pair of Silicone Mini-Mitts to grip the Instant Pot inner pot while sauteing or lifting out of the cooker. This is a must have if you have one of the Instant Pots. It has a ridged surface for gripping and it’s non-stick. The grips are perfect to ensure that there isn’t any slipping. This is a nice option if you need several items to get started. I love to give this starter kit to someone that just bought an instant pot. It’s a great starter kit. The silicone starter kit includes: silicone lid, pot holder and mini mitts. It’s a great bargain for these items. 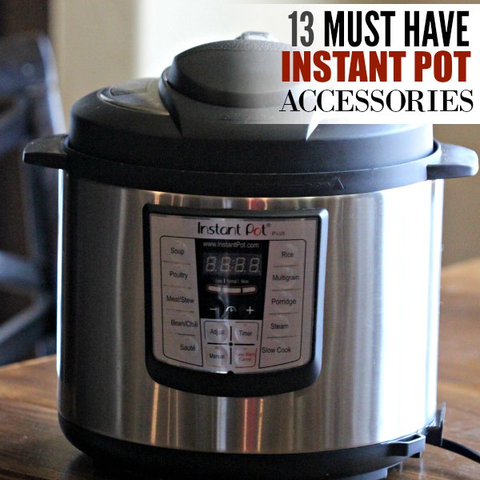 You will find these items to be very handy when using your instant pot. This instant pot accessory package is so convenient. This is one of my favorite accessories for the Instant Pot. 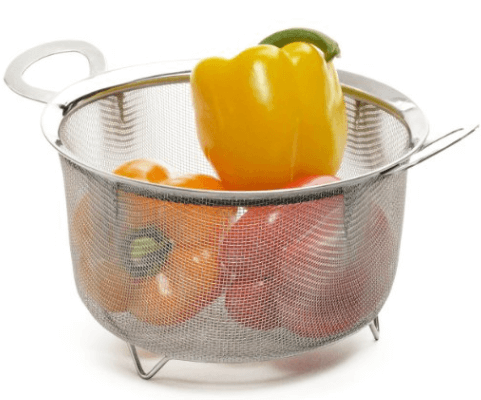 You can wash your veggies in the mesh basket and then steam them in the same basket in your Instant Pot. This is also a great item to have if you like to make homemade chicken stock because it easily separates the items. So handy! I love items that can be used for many different things. You will definitely get your money out of this accessory. This steamer basket is great. It works just like a steamer rack. This is really a cool accessory for steaming veggies in the Instant Pot. What sets this apart from other steamers is the ability to collapse. If you are short on storage space, this is a nice one to order. This one also includes a free julienne peeler. We all can use extra storage space so this is a win all around! It’s nice to have a second inner pot available. This model only fits Instant Pot brand and it’s dishwasher safe. If you don’t have a spare, I would highly recommend grabbing one. This non stick Instant Pot liner can be used in any of the 6 qt Instant Pots. Plus, it can be transferred to the oven where it is safe to 680°F / 360°C. This is a nice option if you might want to use in the oven at some point. Accessories that pull double duty are great. 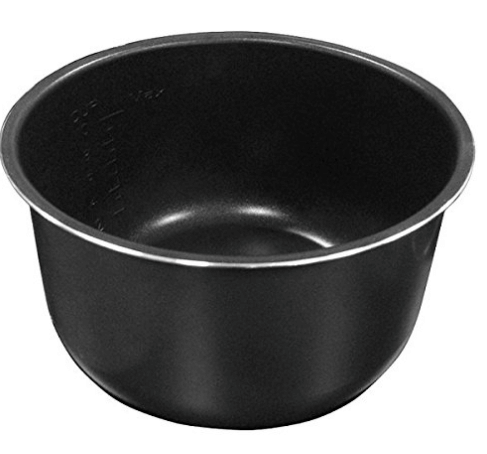 This lid creates an air-tight and water-tight seal on inner pots. Perfect for storing and reheating leftovers, keeping food fresh, maintaining food temperature and retaining steam while cooking. It’s dishwasher, freezer and microwave-safe with a non-stick finish. Talk about an all around great accessory! 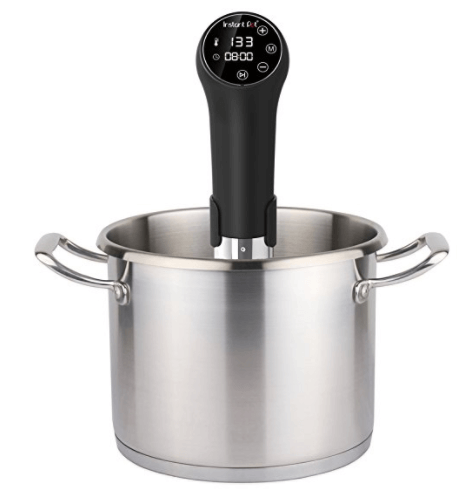 This Immersion Circulator cooks food precisely at low temperatures over a long period of time to achieve succulent, delicious meals. It’s a great way of cooking tougher and lower grade cuts of meats. The Instant Pot sous vide circulator lets you turn any pot or container into a professional-grade sous vide water bath. Previously, sous vide cooking was only available to the world’s best restaurant chefs. Now, the Instant Pot sous vide cooker allows any home cook to achieve perfect results every time. 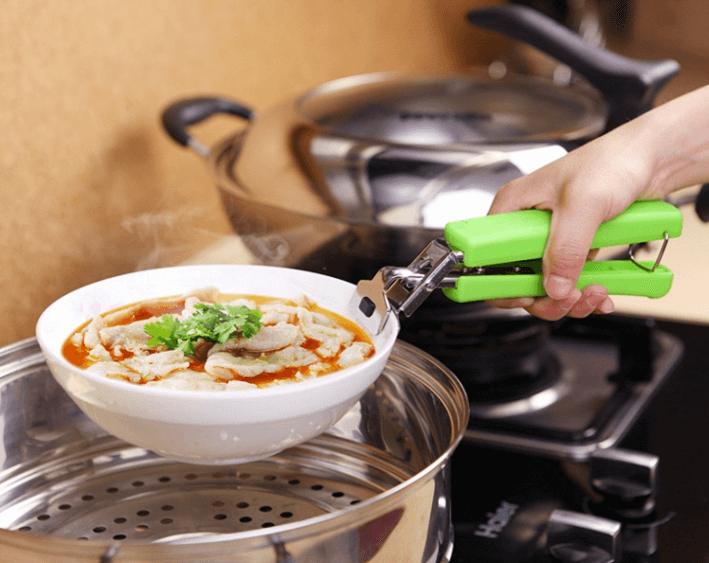 Instead of oven mittens and pot holders, this tool safely lifts items out of the Instant Pot. You will get 2 plate gripper, random color. These retriever tongs are so nice to use with the instant pot. It makes retrieving items really easy and safe. Love this accessory! This is so cool. 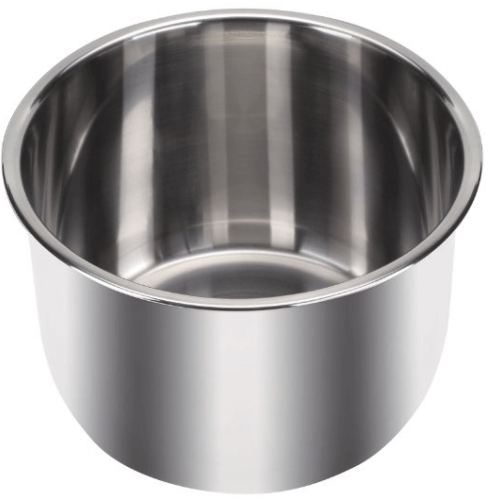 The pan fits inside so you can make a cake in your instant pot! This item works perfectly in the 6 quart size Instant Pot. This one is a game changer! We love dessert in the instant pot. It’s so neat that you can cook sweet and savory meals. Some people have even used a bundt pan. It’s a good idea to replace the sealing ring every 18-24 months or when deformation is noticed. You might order one to have on hand just in case. It’s made from a durable silicone compound. Fits Instant Pot model IP-DUO60, IP-DUO50, Smart-60, IP-LUX60, IP-LUX50, IP-CSG60 and IP-CSG50. Another bonus it’s dishwasher safe! Note that using this on other brands such as Cuisinart, Fagor, etc., may cause leakage. 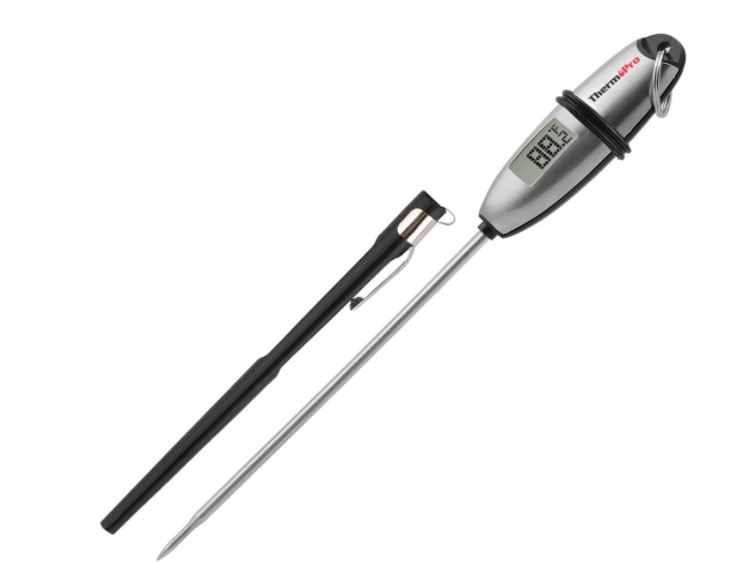 This 5.3” food grade stainless steel probe with step-down tip is designed to receive accurate temperature results in a matter of seconds. The long probe design helps to avoid close contact with heat sources. Perfect for Instant Pot! It’s great having this thermometer so you don’t have to guess. These are the Best instant pot accessories! Instant pot accessories 8 quart, 6 quart and more can be found. You will love all of the instant pot accessories amazon has for sale! Yes! Typically anything that is safe to put in the oven is safe to put in the pressure cooker. Just keep in mind it might change the cooking time. Can I use silicone in instant pot? You sure can! Again, if you can put it in the oven, it’s good to go in the instant pot. Can you use a glass bowl in an instant pot? As long as it is oven safe, it can be used in the pressure cooker. Just remember that just like in the oven, you don’t want to put a cold glass dish in the pressure cooker. Can you put aluminum foil in a pressure cooker? Yes! It is totally safe to use this in the pressure cooker. What is the trivet for the instant pot? 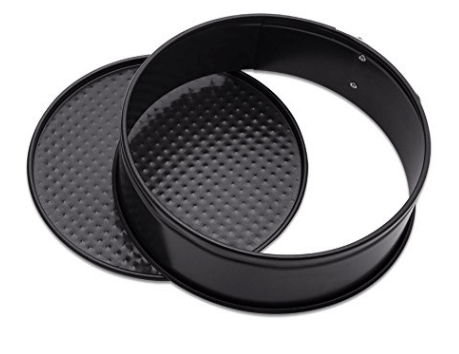 The trivet prevents food from touching the bottom of the pressure cooker. 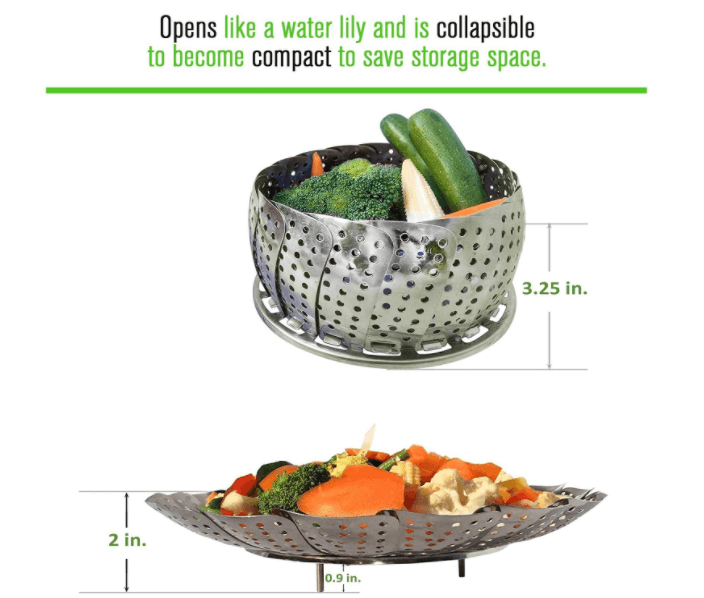 It’s perfect for keeping food raised such as whole chickens and such. 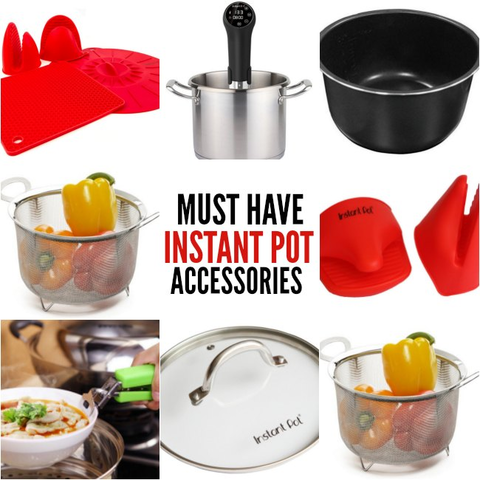 You can find even more Instant Pot accessories HERE. Did you also see this?